Free 30-Day Trials Begin Now! Begin Your Free 30-Day Trial on Source Audio Now! Got music for license? 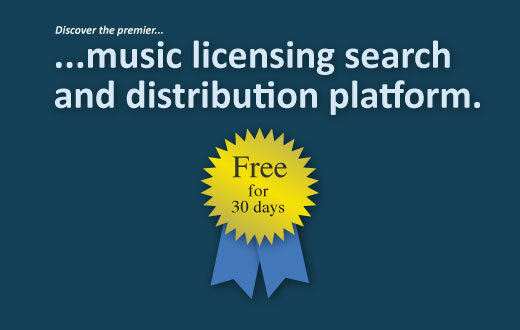 Take advantage of the most powerful and easy-to-use music licensing search and distribution platform for free for 30 days. Plans start at just $99/month. We will import your music, customize the look and feel of your site, give you a custom sourceaudio.com URL, give you a tour of your new site, and will be available to answer any and all of your questions about the platform while you focus on growing your business. Contact us today to begin the free trial!